As I pointed out in Featured Quote #22 (posted on Dec. 23, 2012), bearded and ringed seals have recently joined the polar bear on the American ESA’s list of animals that are “threatened” by computer-modeled predictions of Arctic sea ice declines projected 50-100 years into the future (USFWS 2008, 2012a, 2012b). 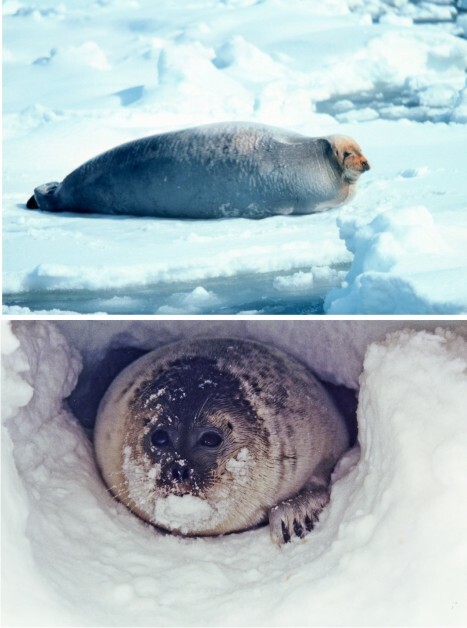 NOAA photos of bearded seal (top) and ringed seal (bottom). The bearded seal is one of the largest Arctic ice seal while the ringed seal is the smallest. Both are eaten by polar bears, although ringed seals are consumed most often.